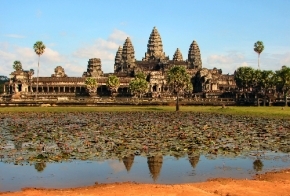 Spend time in Phnom Penh and experience a pleasant holiday or business trip. 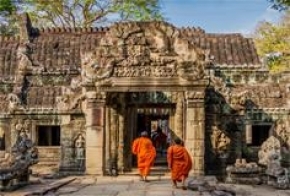 Known as Phnom Penh City and comprising of Mekong, Basak and Tonle Sap River in front of Royal palace, a trip to Phnom Penh and other places within Cambodia would not be complete without learning about its past history. River Home Hotel is a 4-star hotel with 57 luxurious and charming rooms and suites. Local tourist attractions such as Cambodia-Vietnam Friendship Monument, Silver Pagoda and Royal Palace are not far from the hotel. Also easily within reach are Independence Monument, National Museum, Phsar Thom Thmei, and Wat Phnom.